Universities and colleges are producing better content than most brands or marketing agencies. It makes sense. So much goes on at colleges. Sports, art, politics, music and more can all happen within the borders of a single school, leaving content creators no shortage of amazing stories to tell. But it takes expert marketers and a cohesive strategy to pull it all together. While I can’t track down every single college pumping out great content, here are a few doing it really well. When I think of the University of Wisconsin-Madison, I think sports. I’m sure I’m not the only one. But their content paints a much more comprehensive and compelling portrait of the Big Ten school. 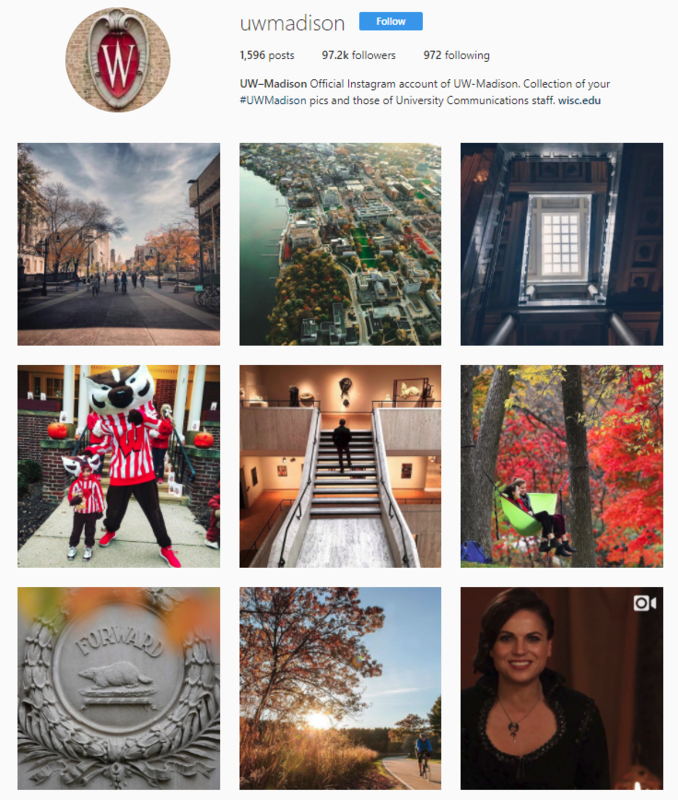 Their Instagram account alone highlights so many aspects of student life and living in Madison. What really impresses me is how well they’re using multiple platforms. Lots of brands share similar links on multiple platforms and alter the message slightly (or not at all). The social folks over at UW share only content relevant for each platform and craft their message based on where it lives. 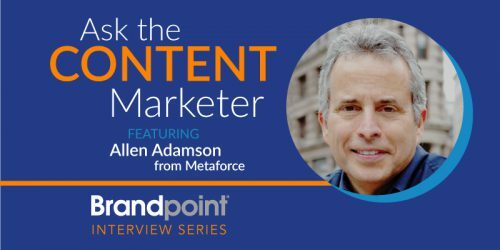 For example, there seems to be content they only share on LinkedIn with messaging that resonates with that audience. Based on these examples, they seem to really understand their audience and what’s meaningful to them. Good on ya, Badgers. SCAD is a private, nonprofit art and design school in Savannah, Georgia (with satellite campuses in Lacoste, France; Atlanta, Georgia; and Hong Kong). It should come as no surprise that a school packed full of artists and creatives can crank out beautiful content. Claudio Vera, an award-winning illustrator and creative director at Traktek Partners, is most impressed with their website. I’m blown away by their H1 right on the front page: “The University for Creative Careers.” It’s a short description that tells me everything I need to know about the college. The rest of the site is as concisely designed with really intuitive UX features. SCAD also seems to have their own little influencer network. They partner with either current or prospective students who also have a significant YouTube following (or simply just attract vloggers that want to sing their praises) to make videos of anything from tours to “Top Ten Things I Learned” and tips for incoming freshmen. Whether it happens naturally or it’s a SCAD marketing directive, it’s working really well. Santa Fe (confusingly located in Gainesville, Florida) is the only community college on this short list. But they deserve to be recognized. If you look at their website and social media content, you’d have no idea they were a two-year college. They seem to have all the content resources of a major four-year institution, including an engaging website that is easy to navigate. It features vibrant student-life images and tells the story of a tight-knit, engaged community. Their social media is great, too. The school interacts with its audience in meaningful ways and does a great job highlighting campus life, student stories and upcoming events. 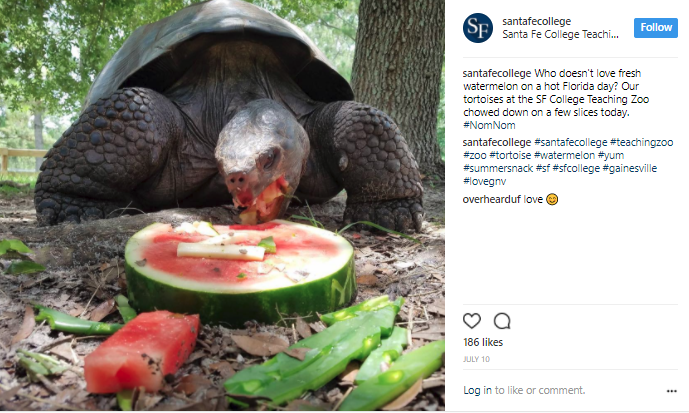 BONUS: They have a teaching zoo near campus and feature tortoises on their Instagram. The Harvard Business Review (HBR) is a management magazine published by a wholly owned publishing subsidiary of Harvard University. Their print magazine and blog cover an array of topics and feature lots of primary research. 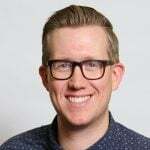 Stan Tan, the digital marketing manager at the Australia-based event branding company, Selby’s, says he’s most impressed by how genuine their content is. Personally, I often end up on the HBR website when I’m researching content. I hardly ever think of it as a university-sponsored resource. Perhaps that’s what makes it so great. Temple University is a relatively large school tucked in the north side of Philadelphia. It boasts a rich history, unique culture and some pretty impressive content. Meg Hogan, solopreneur and founder and chief strategist of Stunning Strategy in Pittsburgh (and thriving Temple alum) sees Temple University doing it right. Their content “perfectly and consistently captures what it stands for: integrity, reaching higher and producing graduates who make a difference in the world,” she said. Their Instagram and other social media perfectly capture their culture and ideas in a compelling way. They use a hashtag (#nextstoptemple) to engage prospective students. Temple has also mastered video, creating compelling professional-quality video and featuring their students in a student-centric “Day in the Life” YouTube series where Temple students get to be vloggers. Through their content, they capture their campus from so many angles and show what student life is really like, so prospective students can imagine themselves attending in the future. Yes. The University of Phoenix. Cristian Rennella, CMO and co-founder of Brazilian-based loan and insurance company elMejor Trato (QuotesAdvisor in the states), has followed their content for three years and believes it’s one of the best in higher ed. According to Cristian, they’re having the biggest impact in how they highlight their alums with user-generated content. They frequently use the hashtag “#PhoenixAtWork” on their Facebook page and ask alums to share photos of themselves on the job. 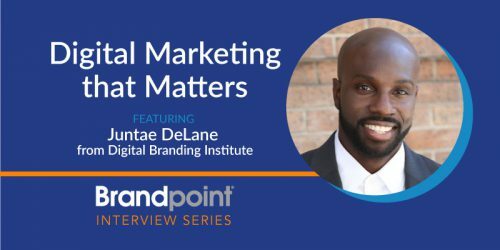 When they do, University of Phoenix community managers are quick to like the photo and engage personally with their former Phoenicians. They also create some pretty awesome videos. Have we made a glaring oversight? Do you see an obvious post-secondary snub? Let us know! As long as universities and colleges are creating amazing content, we’ll keep highlighting it.